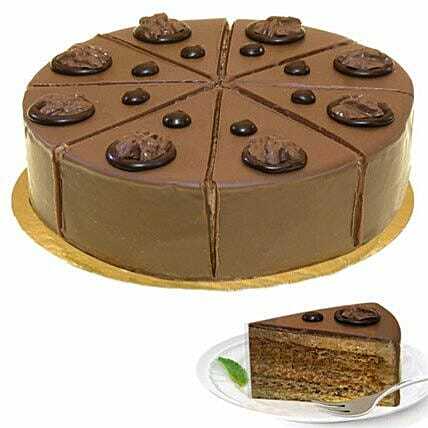 Handmade confectioner cake with the taste of fresh hazelnuts and topped off with a nougat cream filling. The cake is covered in a fine chocolate crust. The cake weighs aprox. 600 g. and has a diameter of 16 cm. The cake is delivered in a fail-safe gift box.
" I ordered a product for the first time for an international delivery and the product was delivered on time. They are very dedicated and professionals. You people made the occasion a memorable one. Thank you so much!! "